A cruise along the West coast of the United States of America promises glamour and luxury combined with unforgettable landmarks such as Seattle's 'Space Needle' and San Diego's 'Gaslamp Quarter'. The West Coast incorporates multiple states including Washington, Oregon and California The region offers a dynamic combination of world-famous cities like San Francisco, Portland and Seattle, while also incorporating lesser-known regions such as the San Juan Islands. Whether looking to witness the flashing lights of Hollywood, the designer-lined streets of Rodeo Drive or to explore the wine region of Walla Walla Valley, a cruise to the USA West Coast can be anything you want it to be. Walk along the iconic Venice Beach in L.A or grab a mountain bike and explore the Blue Mountains in Washington. Pick from a diverse selection of shore excursions or simply do your own exploring. There really is no shortage of new places waiting to be discovered and a cruise is the best way to see this vibrant region! Los Angeles, San Diego, San Francisco and Seattle are just some of the iconic destinations located on the West Coast of the USA. The region is very popular for cruising and all the big cruise lines offer cruises to this region including the likes of Royal Caribbean, Princess, and Celebrity. Explore Hollywood, experience the beautiful city of San Francisco and see famous landmarks such as the Golden Gate Bridge and Venice Beach with your own eyes. A range of dynamic itineraries and unique experiences await! On this 10 day adventure, you will explore the diverse coast of California and more. 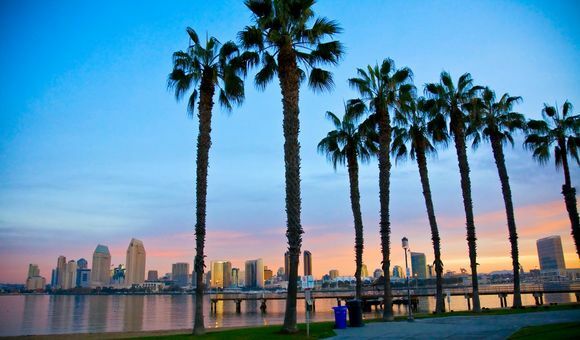 Beginning in LA, passengers are treated to visits to major cities, including San Francisco and San Diego, along with something a little different - a day in the Mexican Isla Partida, all before returning to LA. Get to the Golden Gate Bridge in San Francisco before 6pm to take a stroll across and perhaps partake in a round of golf at the renowned Pebble Beach during your day in Monterey. This 8 day round trip voyage from Los Angeles cruises down the West Coast stopping off in iconic cities such as San Francisco and San Diego. This includes two days at sea to enjoy fantastic onboard activities and entertainment on the Royal Princess! Why not spend a few days pre-cruise in Los Angeles, and take a tour around the famous neighbourhoods such as Beverly Hills and Hollywood. This 20 night voyage brings you all the way from Vancouver to Los Angeles on a state of the art cruising vessel. 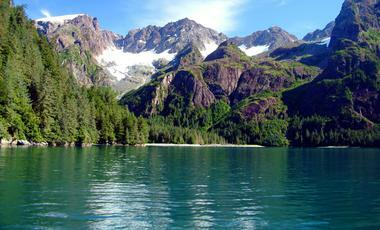 See incredible Alaskan ports such as Ketchikan and Hubbard Glacier, before sailing down along the Canadian coast. This cruise an overnight stay in San Francisco, where you can see some iconic landmarks such as the Golden Gate bridge and Alcatraz island. Seattle is located on Lake Washington and Puget Sound. The city is the largest in the US state of Washington. The unique spirit of the city is widely captured at the Pike Place Market, located down by the waterfront. The Olympic Sculpture Park is a free park full of unique sculptures and offers fantastic views over Seattle and the harbour. Seattle is often synonymous with the Seattle Space Needle which towers over the city. The Space Needle offers a restaurant complete with panoramic views, in addition to an Observation deck offering views that are not to be missed. Astoria is located in the North of the U.S state of Oregon, along the Pacific coast. The port city has an approximate population of about 10,000. The Columbia River Maritime Museum is a very popular attraction and offers a colourful insight into the importance of the Columbia River. The Astoria Column is also a locally-renowned landmark, giving visitors the opportunity to enjoy stunnning views, particularly of the River Columbia from Coxcomb Hill. The Astoria-Megler Bridge is also a popular symbol of Oregon. Santa Barbara, often referred to as the 'American Riveria', is located in the U.S state of California, North of Los Angeles. The sunny city promises visitors year long sunshine. There is a Santa Barbara Hospitality team located at the port to offer advice on tourist activities. 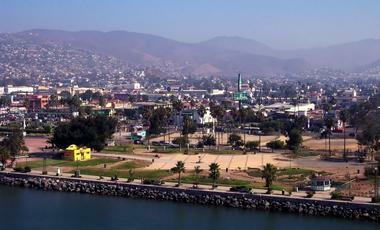 The Santa Barbara Harbour is lined with a host of restaurants and museums such as the Santa Barbara Maritime Museum. Condor Express offers 'Whale Watching' tours, allowing guests to witness the large array of marine life in the area. 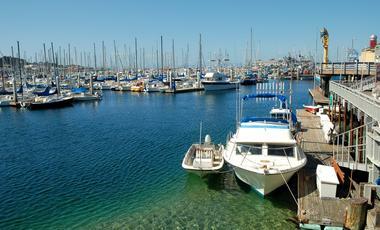 The coastal city of Monterey is located on the West coast of the United States in California. Monterey Bay Aquarium is a must-visit for nature enthusiasts, expect sea turtles, jellyfish, interactive displays and much more. If looking to partake in outdoor activities, Point Lobos State Natural Reserve Park offers coastal scenery as well as numerous hiking routes. There are also countless golf courses in Monterey, such as 'Pebble Beach. Old Fisherman's Wharf, is the perfect place for Whale watching, kayaking and exploring the many waterfront dining options and gift shops. The idyllic island of Santa Catalina is located in the Pacific Ocean, off the coast of California. The island is accessible by boat, ferry and by helicopter. The island enjoys a slow pace of life, with many white sandy beaches. Golf carts are a popular mode of transport when travelling throughout the island. The town of Avalon is the biggest town on the island and offers a beautiful promenade. Much of the island of Catalina is maintained as part of the Catalina Island Conservacy, visitors can take part in guided hikes and Eco Jeeps tours. The San Juan Islands are part of an archipelago and make up the county of San Juan which is a part of the U.S state of Washington. The islands lie approximately 130 kilometres from Seattle and are accessible by air and ferry. Friday Harbor is the main town of the islands, of which there are approximately 172 in total. Friday Harbor offers a unique atmosphere, where there is an emphasis on locally-based business. Walking tours are a popular way to explore the town and indeed the rest of The San Juan Islands. Vancouver is a city located in the state of Washington U.S.A, along the Columbia River in the Pacific Northwest. Vancouver offers a wide range of historical and cultural attractions. The city is located between the Cascade Moutains and Mount St. Helens, therefore offering a beautiful setting. Fort Vancouver National Historic Site is a major focal point of Washington's fourth largest city and offers historical landmarks in a stunning park setting. There are also a wide variety of water activities such as kayaking and jet skiing available in Vacouver, Washington. Sausalito is a city in Marin County, California. It is only a few kilometers north of San Francisco and as a result boasts some incredible views of the Golden Gate Bridge. During World War II, Sausalito was a center for shipbuilding and industry. Sausalito gives you all the buzz of a busy Californian city but at a gentler pace. Close to the city are the famous Muir Woods which are home to the spectacular Giant Redwood trees. Port Angeles is located in Washington state and is a harbour town situated on the Pacific Ocean. The town is located on the Olympic Peninsula and has a population of just under 20,000 and is often referred to as the 'gateway' to the Olympic Peninsula. Port Angeles is home to many beaches such as Hollywood Beach. The National Park provides the perfect setting for exploring and hiking. Spokane is the second largest city in the state of Washington. The origins of the city are linked to the Spokane Indians. “Near nature, near perfect” is the city's motto which highlights the suitability of Spokane for outdoor pursuits, while still remaiing an urban metropolis. There is a vibrant cultural scene in the city, evident through numerous festivals and venues such as the art-deco 'Fox's Theatre'. The history of Spokane includes a city fire in 1889, which led to parts of the city being re-built. Riverfront Park as well as Manito Park and Botanical Gardens are two of the most popular local attractions, again embodying the motto of Spokane. Longview was built in 1921 to provide labour for two local lumber mills. The city still boasts its lumber mill charm, and Forbes listed it as one of the prettiest cities in America in 2012. Longview is situated in the southwest pocket of the state of Washington, where the Cowlitz and Columbia rivers meet. Visitors can cross the Columbia River via the Lewis and Clark Bridge, around which the city's port industry thrives. Sucia Island is a part of the San Juan Islands, in the U.S state of Washington. Sucia lies in close proximity to the Canada/U.S border. Much of the island forms the 'Sucia Island Marine State Park' where approximately 60 camping sites and picturesque surroundings await. The name Sucia comes from a Spanish term used by explorers to describe the difficulty in accessing the island, due mainly to the presence of large rocks and other small islands surrounding Sucia Island. The island is the perfect place to appreciate the great outdoors and it's remote location means less distraction, more time for exploring! Popular activities in the area include having picnics, fishing and hiking.